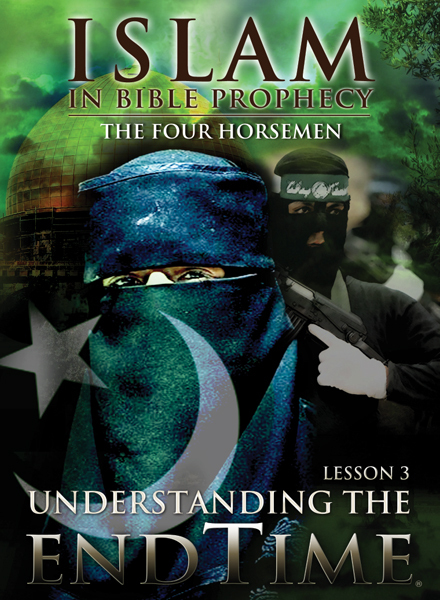 Lesson 3 of the Understanding the Endtime Series The terrorist attacks of 9 / 11 jolted all of us awake. You would have expected that the horrific suicide missions would have mortally wounded the religion of Islam, but because of the unprecedented exposure that Muslims received since the attacks, conversions increased. Our leaders bent over backwards to call Islam a religion of peace, even while the suicide bombings continued. In this lesson Irvin Baxter reveals the identities of the four horsemen of the apocalypse; the white horse, red horse, black horse and pale horse, and how they are moving in our world right now. You will see absolute proof that the force called Islam was foretold by God over 2000 years ago.